Sally B. Coleman, Sallie B. McGrue, two daughters-in-laws; Diana Merida, Tracie West, and other family members. Survivors include two daughters; Winifred L. Allen of Browns Mills, N.J., Martha (Chuck) Lee of Albuquerque, NM, three sons; Wendell L. (Dorothy) Perkins of San Antonio, Nathaniel F. Merida of Beeville, William West of Alaska, one brother; Earl James Coleman of Corpus Christi, one sister; Penny Nevels of Oregon, special friend; Eduardo Cavazos of Beeville, 20 grandchildren, numerous great-grandchildren, numerous nieces, nephews and a host of other relatives and friends. Visitation will be held at Trevino Funeral Home on Saturday, September 15th from 4:00p.m. – 7:00p.m. 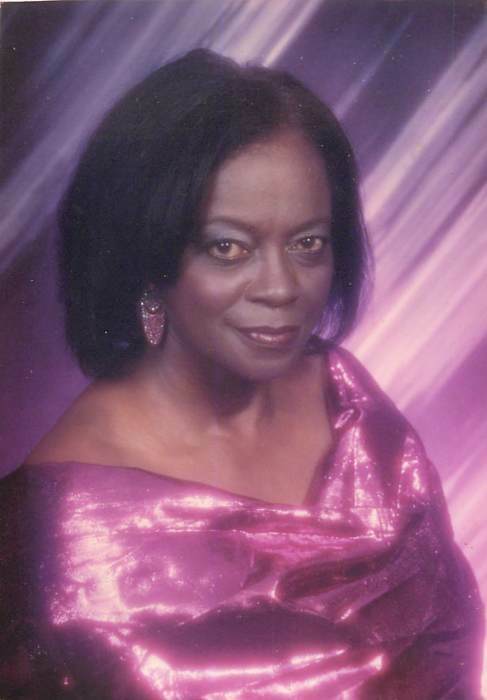 Ms. West will lie in state at Saint Philips Episcopal Church on Sunday, September 16th from 1:00p.m. until service time beginning at 2:00p.m. with the Rev. Brian Tarver, officiating. Interment will be private. Pallbearers will be Nathan J. Allen, Aaron L. Allen, Tyrone L. Johnson, Derek Martin, Byron Blair, and Chuck Lee.